With all of the holiday treats around I have had a bad, bad craving for chocolate. Sometimes it is out of control. But the only thing is I like good chocolate, surrounded by a good filling, normally nuts is my filling of choice. However, I have a very, very soft heart for Reese’s Peanut Butter Cups. I guess it’s because it is peanut butter. Oh how I love peanut butter! Sigh… Sorry I started to drift off as I thought of that delectable little nut that turns into pure creamy goodness. So today I made for you a tasty, easy little peanut butter treat that is my replication of a Reese’s Peanut Butter Cup, but WAY better. It’s my Peanut Butter Cookie Truffle. I’ll admit, they are not the most beautiful truffles in the world, but that’s because I only used peanut butter and a little flour. I wanted to go as natural as I could. For the peanut butter I used PB Crave Cookie Nookie which tastes like cookie dough. It’s crazy, but it does and I thought it would be the perfect filling for my truffles. For the chocolate I used Ghirardelli dark chocolate melting wafers. It is one of the only dark chocolate melting wafers I use. Making these truffles, the peanut butter is very soft. I refrigerated it for about 30 minutes to shape it. Once it starts to warm it loses its shape. Just try to roll as quickly as you can. I Was making these for me, so I didn’t care so much about how pretty they were, but more for how they tasted. Anyway, after I rolled my dough, I put them in the freezer. That works perfect. I kept mine overnight, just because I got side-tracked by other things. I just melted my chocolate and dipped my peanut butter balls in it. Let it cool and you have this yummy goodness. Dark chocolate filled with creamy cookie dough peanut butter. The perfect little treat! In a bowl, add peanut butter, flour and salt, mix until well combined. Place in the freezer for about 30 minutes. The dough will be soft. 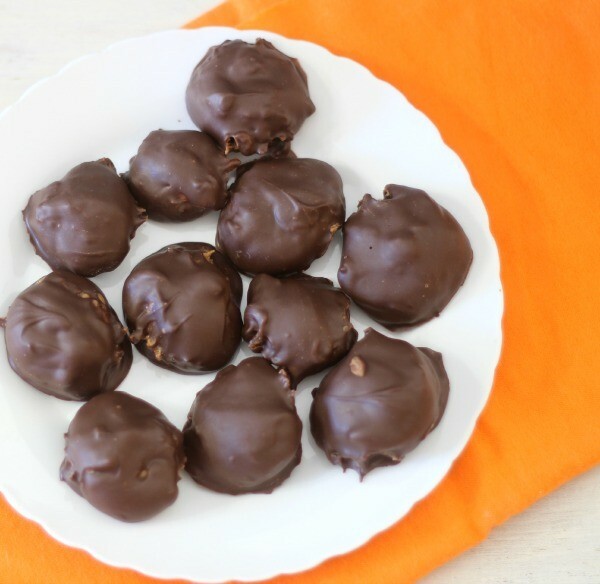 Roll peanut butter dough into 1 tablespoon size balls. Because the dough is still soft, they will not form into the perfect ball. Place on prepared baking sheet. Place the baking sheet in the freezer for about an hour. (I left mine overnight). In a microwave safe bowl add chocolate wafers and cook for 30 seconds, mix and cook for another 30 seconds until chocolate is melted. Be sure to mix the chocolate in between each segment. Be careful not to burn your chocolate. With two forks, dip the peanut butter balls into the chocolate. Let excess chocolate drip back into bowl; place truffles back onto baking sheet to cool. I store my truffles in the refrigerator. 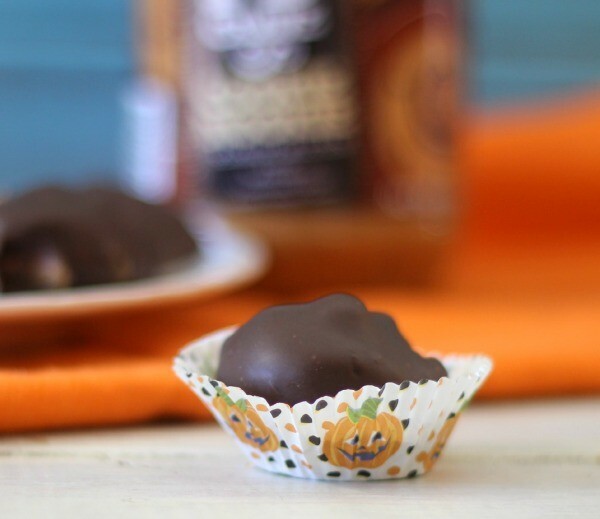 These would make for a fabulous Halloween treat! 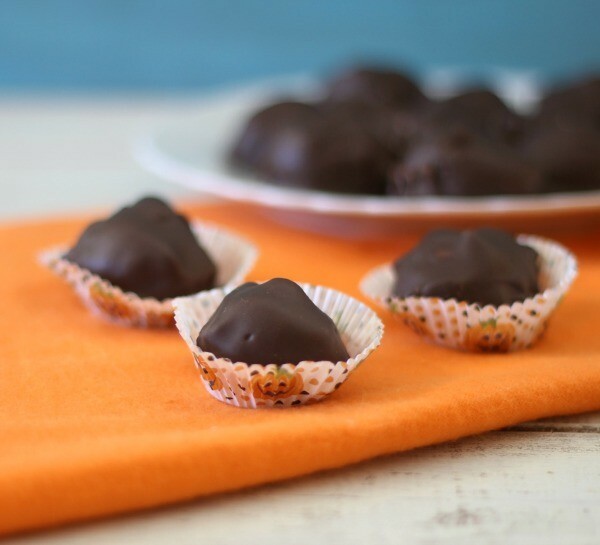 A lot healthier than the candy at the store and it’s fun to make too! You can check out the fantastic, crazy, fun flavors of PB Crave at there website.There flavors are out of this world. You can purchase PB Crave at Walmart, Cost Plus World Market or on there website. Could you just use regular peanut butter? Hi Samantha! Of course you can! It would be great with regular peanut butter. I love peanut butter cups, so I will be sure to try these. 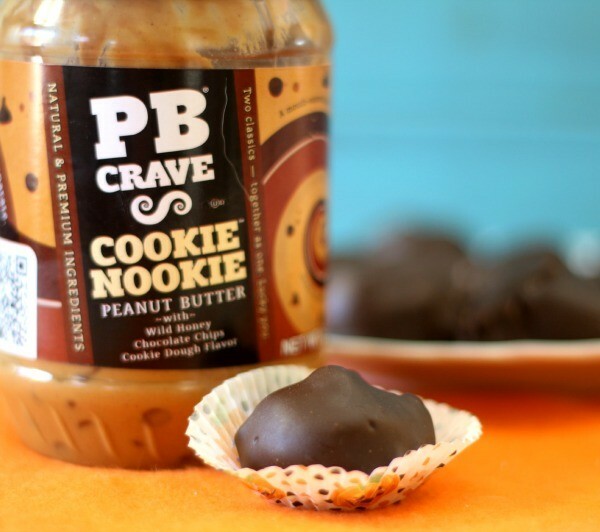 My only question is where do you find PB Crave Cookie Nookie Peanut Butter? Would it be at Trader Joes? I enjoy your posts and have tried and enjoyed many of them. I so want these truffles! Yes!! 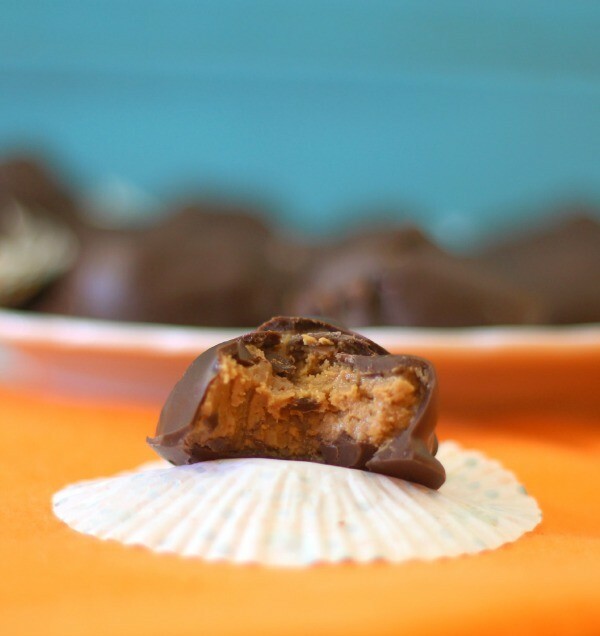 Nothing better than pb and chocolate…these are dangerously poppable!